28 Apr Why does 70% of family-owned businesses fail when they make transition to second generation? My Inspiration to write on this topic came from one research study conducted by one of leading Management advisory group who had highlighted the reasons pertaining to failures of family-owned businesses as they approach their 2nd or 3rd generations. Passing control from one generation to the next is a critical moment for a family-owned business. It can be positive, but often businesses lose momentum. It can bring a family together, but too often it drives a family apart. An impressive 88% of current family business owners believe the same family or families will control their business in next five years, but succession statistics undermine this belief. The role that family-owned businesses play in the economy should not be underestimated. For one, they are in fact the most common type of business organizations, this becomes more complex when we talk about Middle Eastern region due to cultural and social sensitivities. 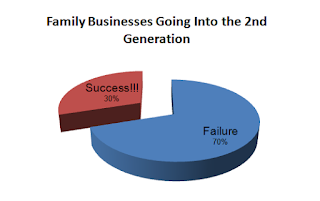 Post deep diving into this topic and post doing my own research by interviewing with industry leaders who are either from a 1stgeneration or 2nd generation of family business, following are my findings as to why the majority of family-owned businesses fail to achieve success in their 2nd or 3rd generation. Most of the founders of successful family businesses are too overly conservative i.e. they do not have clear vision nor they know how to manage funds either internally or externally borrowed & use it for scaling the business. They lack scalability approach. b)Excessive dependence on founders e. 2nd generation leaders often lacks hunger for success which is found in first generation founders. They look up to their first generation leaders for every petty issue. c)Too engrossed in the day to day activities/operations, owners often miss long-term vision or strategy. Lack of information sharing with core management team, lack of sharing of IP (Intellectual property rights), Believes in just informing Decisions and taking control on a daily day to day operations. As per Mr Vijay Madhavan, Sales Director of Petra insurance Brokers LLC, this is one of the main reason as to why family-owned businesses fail to survive in their 2nd & 3rd generations. Company founders have often given their lives to their businesses. So naturally many feel protective and reluctant to step back. A good handover is crucial for the business, but it can also have a big impact on relationships within the family. Where there are several children who wish to be involved, someone needs to decide who will take which role. There is always the risk that someone will feel left out. c)‘Eldest first’ rule doesn’t have to apply. The best succession plans are based on a cool-headed appraisal of the different strengths and preferences of the next generation of potential leaders. That might mean favouring younger siblings over elder siblings, skipping a generation or going outside the family. d)The next generation may have a different perspective. They may want to take the business in a new direction, seek a new relationship with employees, and branch out into new markets. Their aspirations need to be understood and aligned with the overall plan – if there is misalignment it needs to be addressed. “Combining energies of new generation and experience of the older generation”. 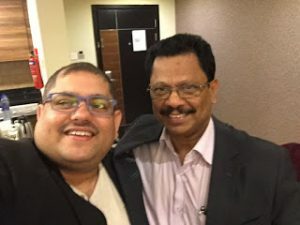 Another way which I feel has been successfully implemented across family-owned businesses (likes of Tata group, Hindalco or in some of the Middle Eastern family-owned businesses). I strongly believe,“Sometimes, it’s best for the family to step back”. When the business has reached a certain size, the founder might decide it needs the leadership of a seasoned CEO from outside the family – potentially disappointing children who had hoped to take over. Ownership and management are two different things and offer different ways of contributing to the firm’s success. Family members can play an important role in the firm’s success by being good owners, putting in place strong governance and processes at the ownership level. 3) Introduce the concept of Wealth management in sync with succession planning. a) By defining internal equity of family members at the entry of business and at the exit of the business. b) Introduction of external equity or PE equity in business in order to take it to scalable levels. c) Clearly defining compensation for participating family members & non-participating family members. This is very important as most of the times it is found that Money divides the family and its businesses. 2) Evaluate both Management Buy Out or a Management buy-in options in ensuring the business is managed more efficiently and effectively. I feel this concept and his quote summarizes the entire topic and would help all my readers, who are either first-generation business owners or 2nd generation business owners to plan for their organization’s future and growth initiatives. Contact me in case you are looking at the fresh perspective of your business strategy, I would be glad to share my wisdom with my industry friends and connections.